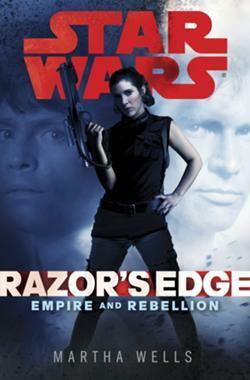 On our latest book chat, we have a cup of coffee with Del Rey author Martha Wells, and discuss her excellent novel, Star Wars: Empire and Rebellion Razor’s Edge. Martha talks about getting into the head, and shaping the voice of the most popular female character in the Star Wars franchise, and tells us about the joys of writing Sci-Fi. This is the Podcast You’re Looking For! Martha’s Website and Blog to get previews of her other books and order other titles by the author!